Jimi Hendrix producer Eddie Kramer previews the late rocker’s forthcoming album, “Both Sides Of The Sky”, in a new video ahead of the project’s release on March 9. "It was amazing just to watch him in the studio or live,” explains Kramer, who engineered all of Hendrix’s recordings. “The brain kicks off the thought process - it goes through his brain through his heart and through his hands and onto the guitar, and it's a seamless process. It's like a lead guitar and a rhythm guitar at the same time, and it's scary. There's never been another Jimi Hendrix, at least in my mind." 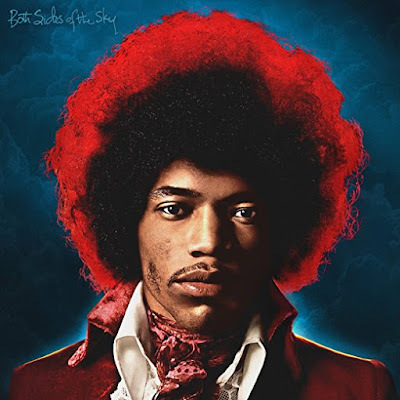 The album is being previewed with the lead track, a previously-unreleased cover of the Muddy Waters classic, “Mannish Boy” that features the trio that would come to be known as Band Of Gypsys – Hendrix, bassist Billy Cox and drummer Buddy Miles.